We conducted rearing experiments to examine the cumulative effects of fasting in freshwater and transfer to cold seawater on the growth of juvenile chum salmon. In the first experiment in May 2016, juvenile fish were either fed or fasted in freshwater for 5 days and acclimatized to seawater of either optimal (10 °C) or cold (5 °C) temperature for 10 days with feeding. Despite resumed feeding, fish that were fasted in freshwater and transferred to cold seawater showed the poorest growth. 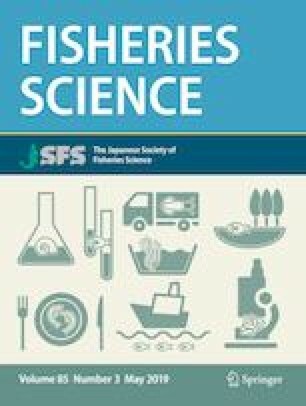 Serum levels of insulin-like growth factor (IGF)-I, a positive indicator of growth, were also the lowest in this group, suggesting a synergistic negative effect of fasting in freshwater and transfer to cold seawater on growth in chum salmon. A similar experiment in May 2017 suggested that the depressed growth and serum IGF-I in cold seawater might be due to the predominant allocation of energy to liver glycogen. On the one hand, serum levels of IGF-binding protein-1b, a negative indicator of growth, were not affected by seawater temperature but by fasting in seawater. The present study shows that relatively short-termed fasting in freshwater critically affects growth of juvenile chum salmon transferred to cold seawater. The online version of this article ( https://doi.org/10.1007/s12562-019-01313-3) contains supplementary material, which is available to authorized users. We thank the staff of the Kitami Salmon Enhancement Programs Association for providing juvenile chum salmon and Hayato Saneyoshi for transferring experimental fish. This work was supported by Hokusui Foundation and JSPS KAKENHI Grant number JP18K05801.